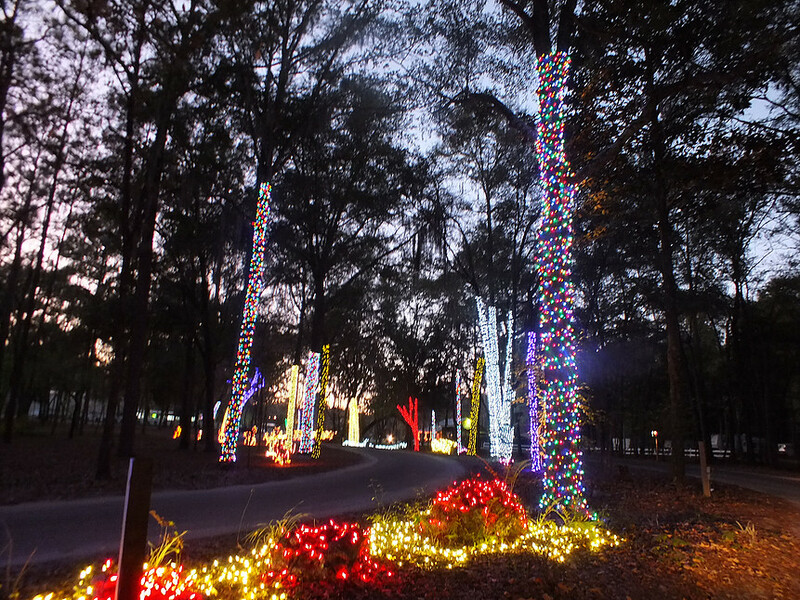 Each holiday season, Spirit of the Suwannee Music Park, celebrates with a huge lighted display the entire month of December. There are options for visitors to walk through the park, drive in autos or rental golf carts, or even camp in order to visit several nights. There’s even an option for free admission, offered in conjunction with Busy Bee Food Stores, on Tuesday nights during the month. 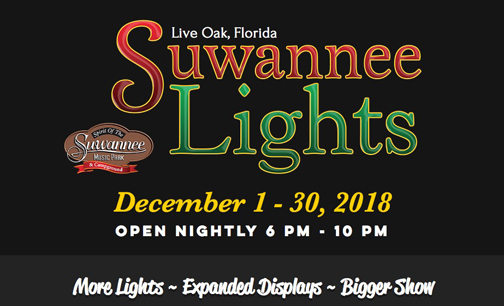 Suwannee Lights begins on Saturday, December 1, 2018 and is open nightly from 6pm – 10pm through December 30, 2018. 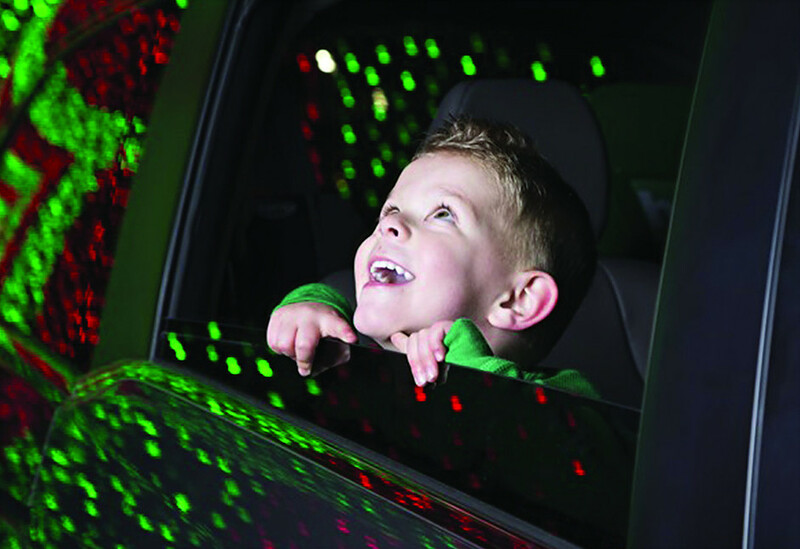 Come enjoy over 6.5 million lights with drive through and walk through displays. We also have photo opportunities, campfire songs, s’mores and hot cocoa, the Puppetone Rockers and more! Come meet Santa and his friendly, adorable elves Thursday, Friday and Saturday nights in the Country Store. When the magical drive through experience comes to an end, you are invited to park your vehicle and walk through our garden and amphitheater, filled with thousands of lights and unique displays. 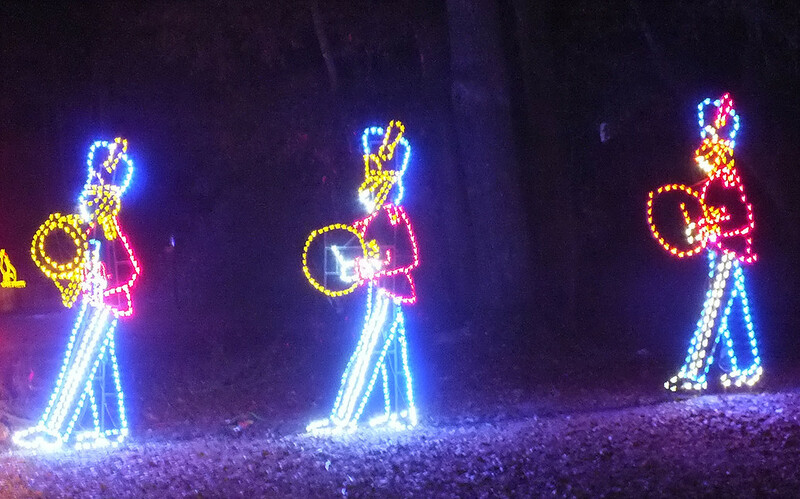 You can enjoy an up-close look at the wonders of Christmas making your way down the path to our Music and Lights Finale. Please make plans to join us and enjoy this magical holiday tradition! 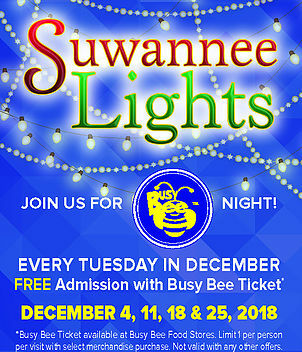 Join us for Busy Bee night at Suwannee Lights. Every Tuesday in December you can see the lights FREE with a Busy Bee Ticket. Get your tickets at participating Busy Bee Food Stores by purchasing select merchandise.